Fórsa has highlighted the very wide range of duties carried out by school secretaries in a submission to an Oireachtas education committee investigation into issues affecting non-teaching education staff. The union’s submission says that most school secretaries are very poorly paid, with uncertain short-term contracts, which force many of them to sign on during the summer holidays. Most school secretaries and caretakers are paid from ancillary grants and are not deemed to be public servants. 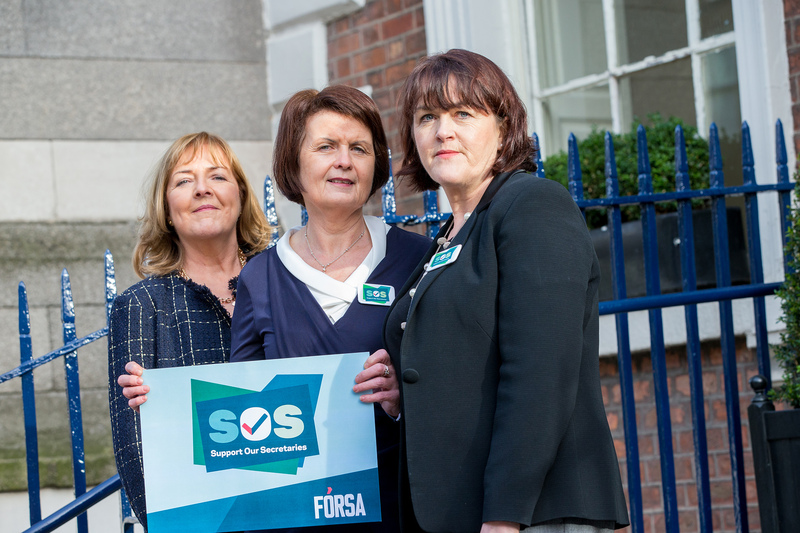 This is currently the focus of Fórsa’s Support Our Secretaries campaign, which has seen membership of the union’s School Secretaries branch increase by 15% since the campaign was launched in January. Work undertaken by school secretaries includes completing pay and pension returns for teachers, and undertaking many tasks necessary to ensure that teaching staff receive holiday pay, sick pay and other public service conditions of service. Managing school data including GDPR and other regulatory compliance. Mr McHugh’s research found that, given the sensitive and responsible nature of much of the work, school secretaries’ role goes well beyond what would be expected of a clerical officer, who would be part of a team rather than working on their own as most school secretaries do. The submission highlights the fact that the majority – around 90% – of school secretaries work alongside colleagues with full public service status, but are locked out of the system without holiday pay, sick pay, pensions or access to public service salary scales. The remaining 10% of staff employed by Education and Training Boards (ETBs) are paid according to public service pay scales and have access to the standard benefits of public service status such as pensions and paid leave. Support Our Secretaries campaign page. This news item was originally published in the Fórsa Education news bulletin on Wednesday 20th March.